Which interfaces are available for export? 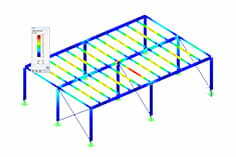 RFEM and RSTAB communicate via a direct interface to Revit Structure, enabling bidirectional data exchange. 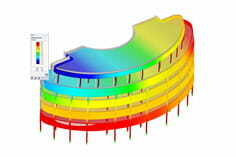 Structures modeled using RFEM and RSTAB can be easily transferred to Revit Structure at the touch of a button. With the direct integrated interface, Tekla Structures' analytical model of detailed systems can be easily transferred to RFEM / RSTAB. A detailed overview of the interfaces and the BIM-oriented planning is available on our homepage in the section " Building Information Modeling (BIM) ". In addition, there are already numerous webinars on BIM , which can be viewed on our homepage as a video.